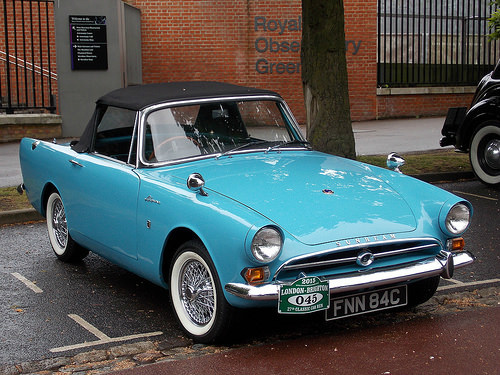 The Sunbeam Alpine Series 3 sports car was finally replaced in January 1964 by the Series 4 after a production run of only eleven months, in which 5,863 units were built. It was showcased at the Brussels Motor Show of that year. 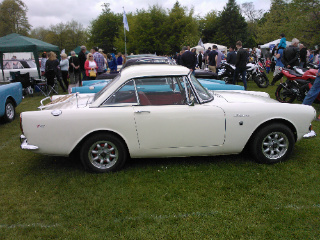 Around 1963, Rootes Group realised that the distinctive rear fins of the Alpine were one factor that led to the model being regarded, in some quarters, as being old fashioned. With this in mind, Rootes set up an agreement with the Italian company, Touring of Milan, to assemble the Alpine in Italy in order to target that market. This resulted in them restyling the rear section of the car, and the updated Alpine was presented, in November 1963, at the Turin Motor Show. 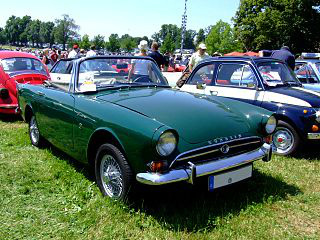 The Series 4 embraced the same styling changes as exhibited in the Italian version launched two months earlier. The most significant change was in respect of the rear fins which had now been drastically reduced in size to provide a softer and smoother image. It was suggested that a version with automatic transmission would be well received in the US especially in the 18-30 age group who, in the main, were not used to a manual gearbox. A further selling point in this model's favour was the fact that no previous American sports car had been given the option of automatic transmission. Both the convertible and GT versions shared the same 1592 cc engine fitted with a single Solex twin choke carburettor, which increased output to 82 bhp at 5000 rpm and 95 ft/lbs of torque at 3500 rpm. The optional lower output engine, used in the Series 3, was now withdrawn. Furthermore, the engine had been modified to comply with the new safety and emission regulations that had been introduced in a number of American States. The suspension was now fitted with anti fade dampers, whilst the tension of the springs was slightly reduced in order to produce a softer ride. The Series 4 now represented the most stylish Alpine to date, and appealed to both US and Home markets. However, by 1964, Rootes Group finances were in a parlous state, which had not been helped by a strike at British Light Steel Pressings, which supplied the body panels, plus the spiralling cost of wages. The result was that the company was unable to fund development of necessary new models. Fortunately, in June 1964, an agreement was reached with Chrysler of the US to inject vital funds to stabilise the position of Rootes Group. Under this agreement, the manufacturing, engineering and sales functions of both companies would share information with each other to their mutual advantage. On the other hand, from the Chrysler standpoint, the most important benefit of the agreement was that they gained a much needed foothold in the UK market. 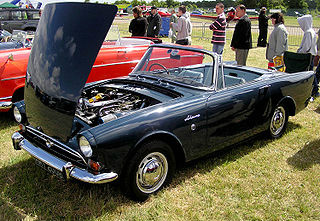 In practical terms, the agreement meant that, in the US, a Sunbeam Alpine could be purchased at a local Chrysler dealership. In the final analysis, Chrysler ended up by absorbing the whole of Rootes Group by 1967. 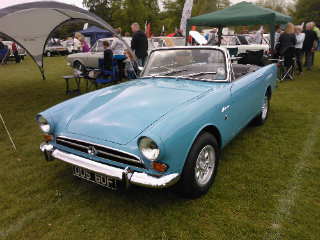 The Sunbeam Alpine Series 4 sports car was discontinued, in favour of the Series 5, in September 1965, after 12,406 units had been built. 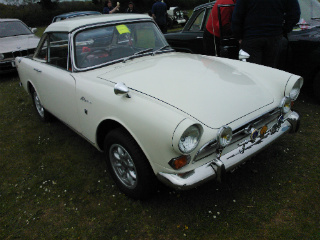 A 1964-65 Sunbeam Alpine Series 4 in good condition would fetch in the region of £6,000/$10,000.